Gillian Armstrong’s debut My Brilliant Career was the first Australian feature to be directed by a woman in nearly half a century and set the path for an outstanding international career. As she looks forward to a festival screening not just of her own films but daughter Billie Pleffer’s graduating film from the Victorian College of the Arts, she explains why she’s become a vocal advocate for more women in the industry. When director Gillian Armstrong was studying film in 1968 there was no Australian film industry. A series of smart moves, lucky turns and an abundance of creative talent landed her in the front seat of the industry just as it was taking off again. 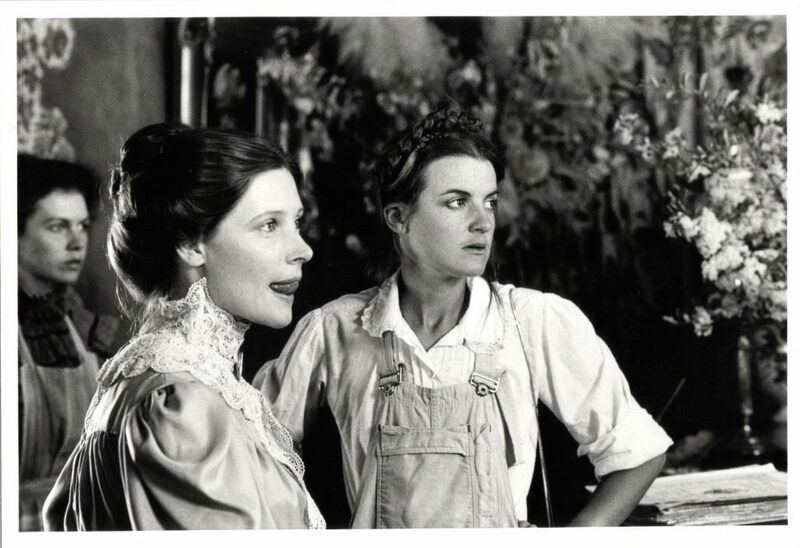 Her debut feature, My Brilliant Career (1979), was the first feature-length Australian drama to be directed by a woman in 46 years (the previous being Two Minute Silence by the McDonagh Sisters in 1933, before the local industry crashed). I was lucky enough to speak with her in the lead-up to the screening of two of her films – Starstruck (1982) and High Tide (1987) – in their original 35mm format at the 2017 Melbourne International Film Festival (MIFF). I began the interview feeling a little woozy from a late night re-watching of Armstrong’s 1994 film Little Women, me and my sister’s childhood favourite, and opened with a question relating to her documentary series Love, Lust and Lies, which began in 1976, following the lives of three lively Adelaide girls, who have been revisited on film four times since. If you were a star in your own documentary series, Love, Lust and Lies, what parts of your life would be shown on the trailer? No, it’s a sensational Hollywood trailer that gives everything away. Oh, right, well … I don’t think I’ve actually had a sensational Hollywood life. If they wanted a sensational Hollywood thing, they’d probably make a trailer similar to the one that was made for me for the Cannes Lions Advertising Awards this year. They said to me, “We just put the bits of your films in that had famous actors because that makes you look more important”. So if they were cutting a trailer for my life it’d probably be me with handsome young Mel Gibson, Cate Blanchett, Diane Keaton and Ralph Fiennes. Before deciding to study at Swinburne did you know that filmmaking was what you wanted to do? Well, let me just give a little context. Before I studied at Swinburne, Australia had no film industry at all. I don’t think too many people ever thought about having a career in film. If you were interested in a career in drama there were two options: Crawfords for [the long-running police procedural TV show] Homicide, or the ABC for drama. I had an interest in theatre, literature and art in in high school and it just so happened that my brother went to Swinburne to study business and accounting and he told me, ‘There’s this amazing art school at Swinburne, you should come and have a look at it’. So I did. At that point, Swinburne had set up a filmmaking school as part of the art school and it was the first one in Australia. It had really only been going for three years. Both Ian Baker and Jill Bilcock were above me in the cohort, and so was Michael Leunig. When I went there on Open Day and saw all of these amazing arty handheld student films with cute boys with long hair running around, I thought, ‘I want to do that’. So I applied and got in to the full-time diploma. Did you know much about film before that? I think I wrote down at the start of my time in film school that my favourite film was The Graduate. The person next to me was writing down Wild Strawberries by Ingmar Bergman. I really had no idea. I’d never seen a foreign film. I grew up in the outer suburbs of Melbourne, in Mitcham, and my family had nothing to do with film. Gilliam Armstrong’s 1971 graduating short film The Roof Needs Mowing, from the VCA Film and Television Film Archive. Had you not become a filmmaker, what would you have done? Pretty much all the girls in my year in high school became teachers, secretaries or nurses. Because I was quite academic, I probably would have gone to uni and done teaching. How did it go from Australia not having any film industry to you making My Brilliant Career? Well, timing was really key. Just as I was graduating, the government was setting up the Australian Film Commission [established in 1975] to restart the Australian film industry. Two years later people like Fred Schepisi, who was always an incredible role model for us at Swinburne, was directing his first feature film. So were people like Peter Weir and Bruce Beresford. Fred also gave big breaks to people like Ian Baker and Jill Bilcock. After waitressing for about six months I managed to get a job in the commercial industry. Despite all of our teachers at Swinburne sending us the message that women could only get jobs in continuity, someone gave me the advice, ‘Don’t get into continuity or you’ll never move anywhere. Get a job as an editor’. I moved to Sydney, despite having no contacts there and, after a year working as an editor in the commercial industry, I saw the ad for first year of the National Film School. I was really driven at that time, really motivated. It was there I realised I had wasted so many opportunities at Swinburne, just having a really great time. I was very lucky, timing-wise, to get into that pilot training scheme at the film school at the same time Australian directors and Australian films had really started taking off. Then my ambition became getting a grant. Then, after making a number of short films, I realised you couldn’t make a living from short films as the director’s entire wage goes into the film, so my ambition became making a feature film. I lived on the dole then … all of us did. We thank the Australian government for their support of the arts. You know I went on the dole for a year to make The Singer and Dancer (1977). But I think I’ve paid it back in tax by now. Yes … But I just grew up and learned things step by step. Now I say all I want is creative freedom! I don’t want pressure from investors or exhibitors or distributors. In the end I’m back to where I began at Swinburne; I’d rather do something small and creative and call myself a filmmaker. Gillian Armstrong directing My Brilliant Career. Image courtesy of HLAMGT. Do you make films with a particular social impact in mind? Not consciously. The stories I’ve chosen over the years have all been things I’ve had a gut reaction to, stories that reflect your beliefs and ethics, and mine are of a humanist, and yes, feminist, nature of course, as well as those with themes like justice and fairness. 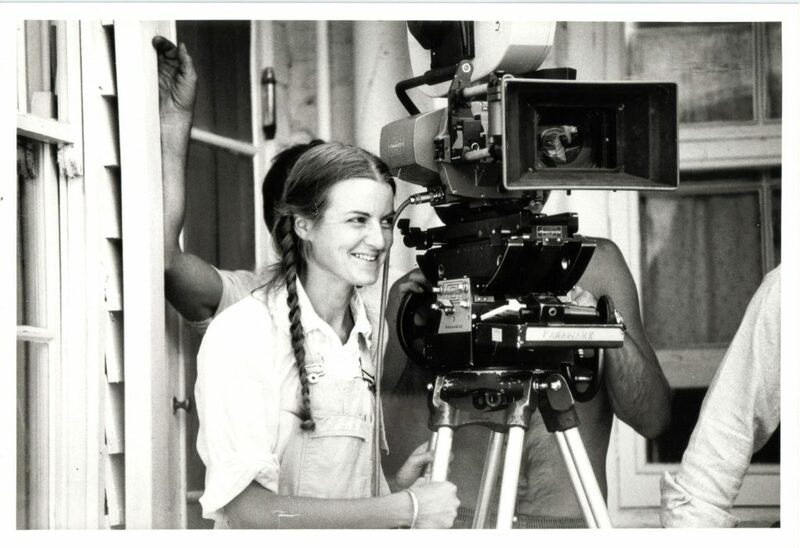 When I first started making films The Sydney Women’s Film Group was very active, and you know they looked down on my films – like my AFTRS graduation film, One Hundred a Day (1973). They said it wasn’t proper propaganda for women, because it showed women who weren’t being really nice to each other. I’ve never wanted to be a propaganda filmmaker. I’m a storyteller. Will you be sitting through your own movies, Starstruck and High Tide, at MIFF this year? I will sit through High Tide, because I haven’t seen it on the big screen for more than 30 years. It’s the 35mm print so I’m really interested to see it. I always watch the end of Starstruck because I love the final scene, and I’ve actually seen it a lot recently as I was involved in regrading the NFSA restoration with the producer David Elphick and cinematographer Russel Boyd. But generally I find it very hard to sit through my own films. I spend a lot of time thinking how I could have made it better. Unfortunately High Tide clashes with my daughter Billie Pleffer’s VCA graduating film Fysh which is screening as part of Australian Shorts. Did it come as a surprise that your daughter decided to study film? A complete surprise! She actually secretly enrolled, having already done a double degree in fine art. We did everything possible to discourage her from going into this incredibly brutal film industry. Is there a part of you that’s secretly happy that she’s a part of it? Well, I’m very proud she’s done this whole thing on her own. She’s a writer/director which is something I never was. She’s won numerous awards for her short film Bino (2011). She won a national award last year. I’m very proud and in a practical sense think it’s much better to be a writer/director because you can write your own material. Bino (2011). Dir. Billie Pleffer. Would you like to work with her? Oh no! I don’t ever want another director on set! I mean, I do kind of envy all of those brother director pairs, like the Coens. It’s such a lonely thing being a director, it’s hard, you have to make a lot of decisions. You obviously do make all of these decisions with your team. But having someone on your side with whom you have a complete shared vision and taste and shorthand, and the ability to sort of protect each other … that could be good. But no, Billie and I have kind of different tastes in filmmaking. Her style is not only different – it’s unique and it’s wonderful. When you made My Brilliant Career in 1978, you were the first woman to direct a feature length drama in Australia for 46 years. Now, has the situation changed much for women? Do you still feel like an outsider in the industry? Is this frustrating? When I made my first feature film, being a woman was all anyone ever asked me about. It really, really annoyed me and I found it quite sexist in the end. I thought, ‘You know what – I’m just me and this is a Gillian Armstrong film’. Not all women are going to do the same films and the same stories, and I was really put in this box, because it was a feminist story in a lot of ways, they thought that’s all I ever wanted to talk about. So yes, initially it was frustrating to talk about. But 40 years later, when the figures of women directors worldwide are still so appalling, I am speaking up a lot about the reality – that it’s not a level playing field and there is an unconscious bias, and this bias needs to be readdressed. We need diversity and it’s time for real action. These talented young women are coming out of film school, where they’re represented 50/50, but they aren’t getting the breaks and the boys are. The reality is only 17% of feature films in Australia are directed by women and for commercials, only 9%. I went to the Australian Director’s Guild when I heard these figures and said, ‘You know what, we should really do something about this’. The guild formed a working committee of which I’m just a very small part. The whole Gender Matters movement comes from this guild. We’re thrilled that we really have had an effect and money has been put towards developing female writers as well as directors. There have always been women producers, but why aren’t there more women artists? There should have been a million more Jane Campions. Is there much doubt involved in making a film, with what script you choose to work with and the process of the filmmaking? The process of working on a script has many ups and downs. Sometimes the development of a screenplay takes so long you can start to look at it and think, ‘I don’t know if I’ve really got the passion for this anymore’, because actually making a film takes two years. When it comes to making the film I always tell young filmmakers that there’s never enough time and enough money for a director – whatever the budget is, your ambitions are bigger. Gillian Armstrong on the set of My Brilliant career. Image courtesy of HLAMGT. Of all of your films and documentaries, which one stays with you the most – which one makes you think – if I were to die tomorrow I’d be happy because I made that? Probably my personal baby, my Adelaide series, Love, Lust and Lies. I’m stopping short of saying it’s over because maybe there’s a possibility it’ll return in a few years. It’s really captured Australia and Australian lives. Just after we did the second meet, when they were 18 (in the first they were 14), I happened to be in Canberra. I ran into some politicians, Susan Ryan and Bill Hayden, who had seen it, and they said to me, ‘Oh, what’s happened to the little blonde girl driving that car with the bumper bar nearly falling off?’ They were talking about Josie. I felt really proud to have made something that had reached the people who could make our country a better place. At least that’s how we used to feel about politicians. I was proud they had a chance to look into the life of someone as brave and wonderful as Josie, where otherwise she just would have been a figure and a number – ‘unmarried teen mother’. It’s an incredible document of 30 years of people’s lives. In the first episode the girls all said, “The man’s the breadwinner and I’ll be looking after the babies’. Just to see how that changed over the installations was fascinating. It’s not as if I went out with that intentional social consciousness, but I have felt very proud when my films have affected people in a good way. What’s your advice to budding filmmakers? Just do it, don’t talk about it. Try to be different and original but not in a fake way. Push the boundaries, get out there and make it. The more you make the more you learn. Be free and be brave. 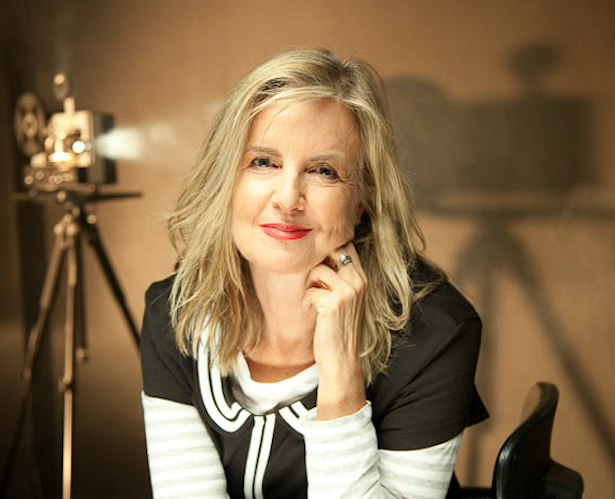 Gillian Armstrong’s films are showing at the 2017 Melbourne International Film Festival: Starstruck on 11 August and High Tide on 13 August. More details.